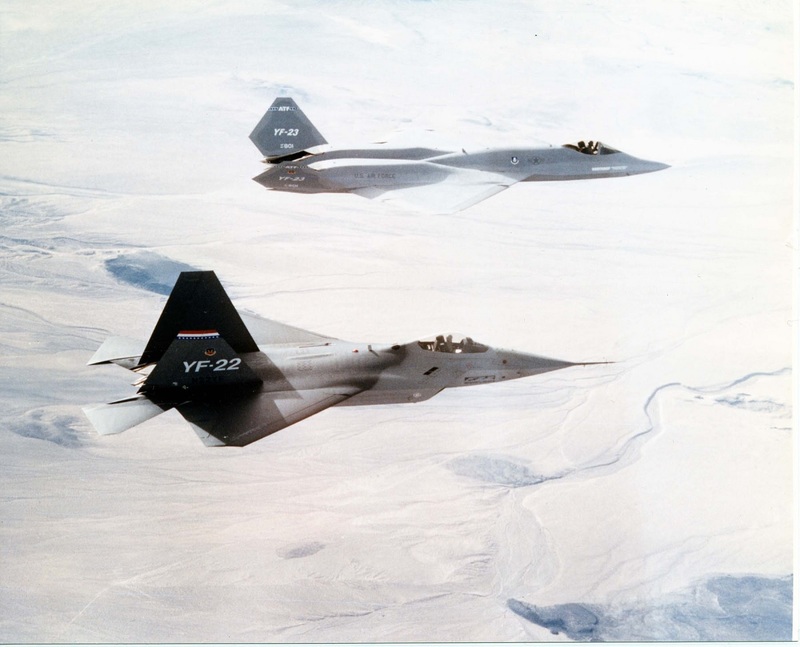 The Northrop YF-23A and the Lockheed YF-22A competed against each other in the late 1980s/early 1990s in the Advanced Tactical Fighter (ATF) program. 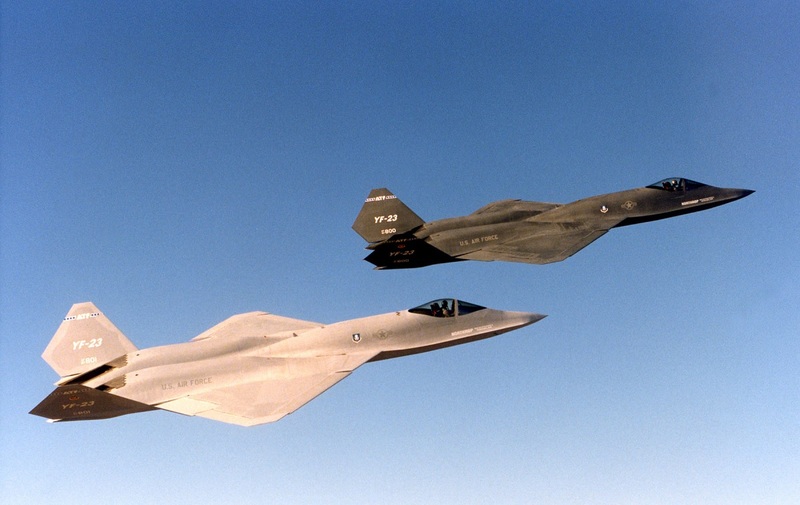 As we have explained the YF-22A was selected as best of the two and the engineering and manufacturing development effort began in 1991 with the development contract assigned to Lockheed/Boeing. 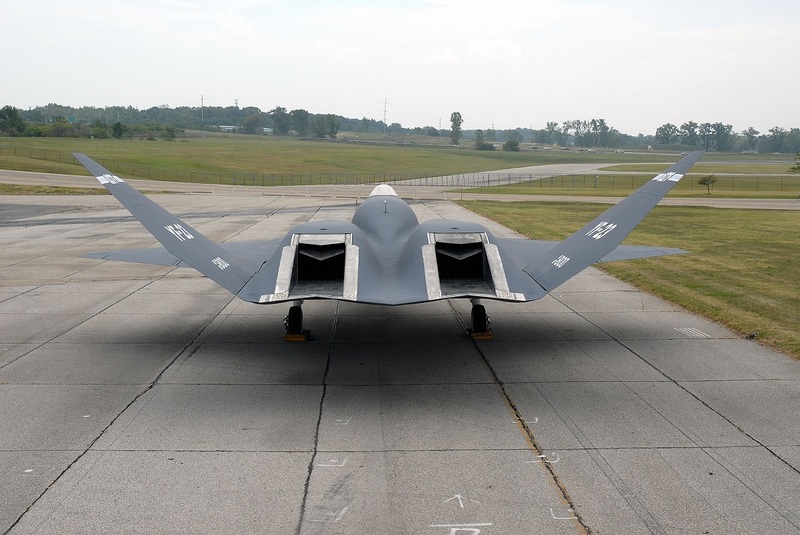 However the YF-23A remains one of the coolest (and most intriguing) aircraft ever built. 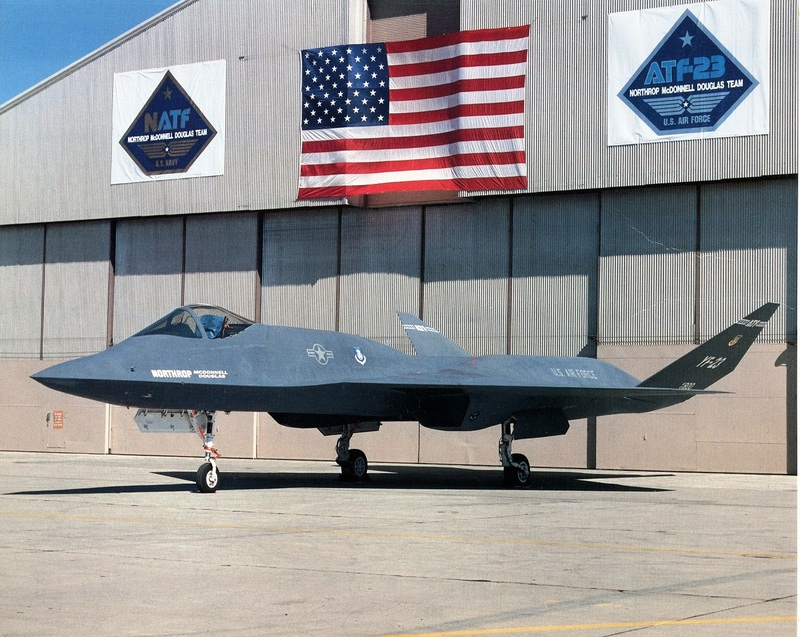 John Shupek, a retired Aeronautical/Aerospace Engineer and now owner of Skytamer.com aviation website, was hired by Northrop in 1985, at the start of the ATF competition to do the thermal design of the back end or “aft decks” of the Northrop ATF. Photo of the wheel well door of PAV-2. “I took this photo when I was the Curator of the Western Museum of Flight. At that time the Museum was located in Hawthorne, CA. 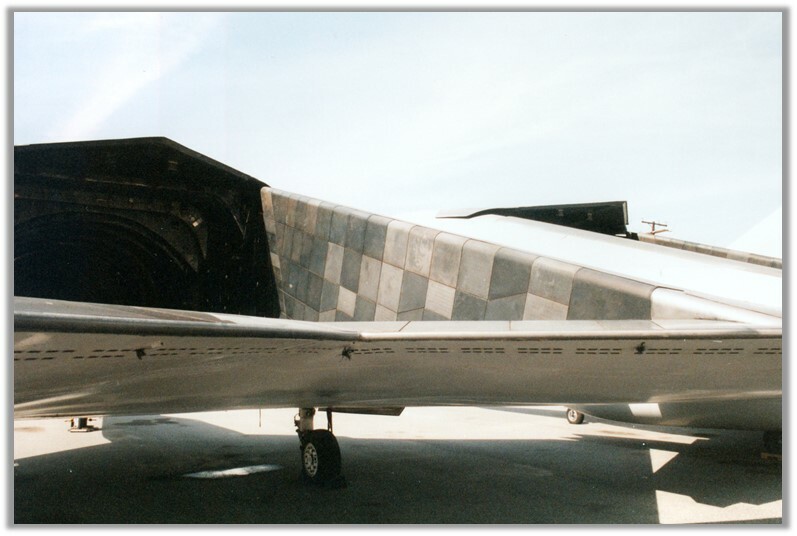 This particular picture was taken circa 1995 after PAV-2 and been restored at the Western Museum of Flight. 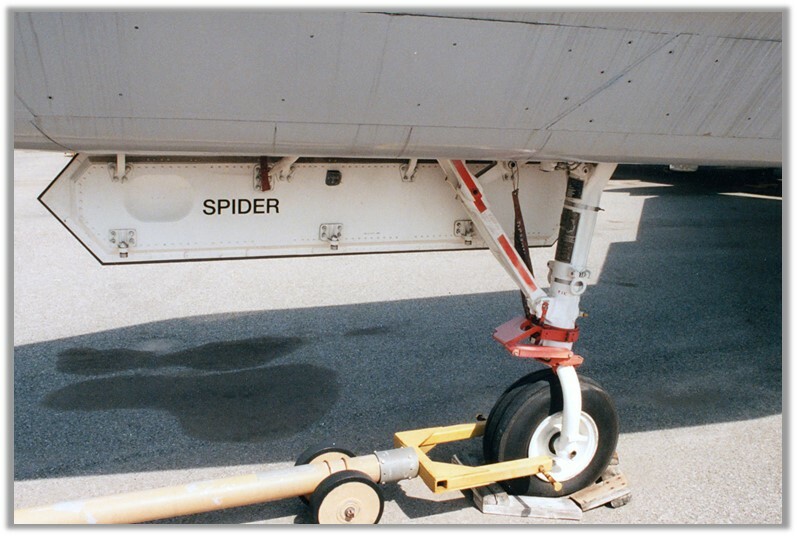 I believe that this particular callsign was placed on PAV-2 in error, since the Museum’s PAV-2 was known as the “Gray Ghost,” says John Shupek. 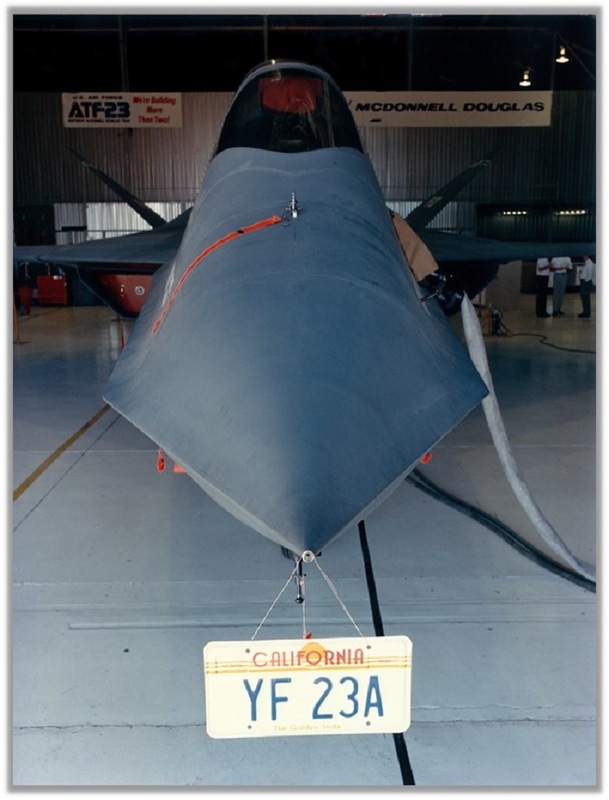 “One day I was having lunch with Tom Rooney (former Northrop Aircraft Division vice president) in the Northrop cafeteria and I told him about my YF23A California license plate. 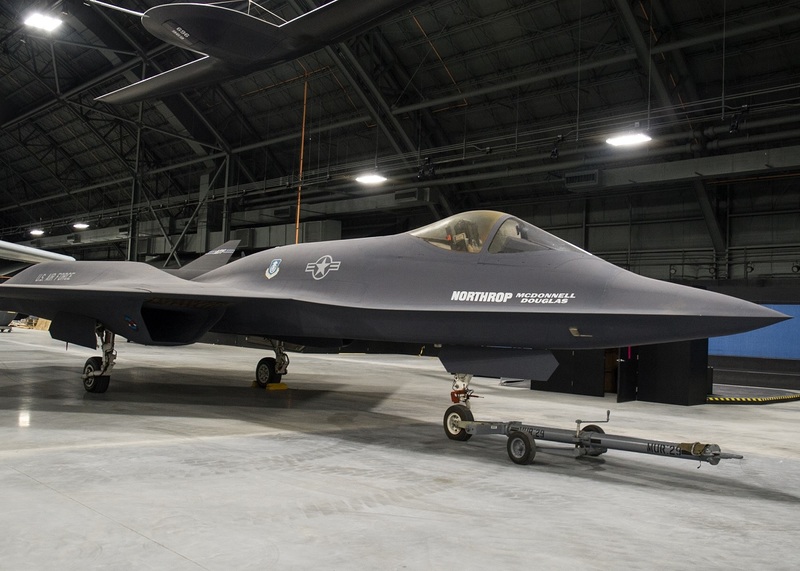 I asked him if it was possible to get a picture of the license plate hanging off the nose of the YF-23A. Tom instantly said yes. He wanted to do this because it was a California plate, not a Missouri plate. 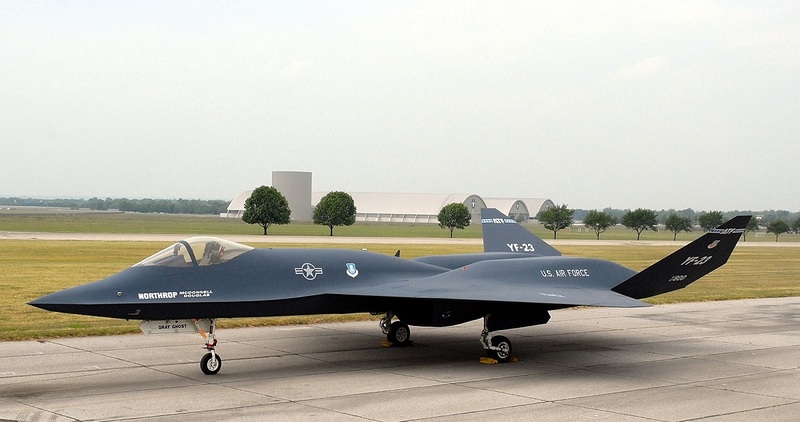 This goes back to all of the legal problems between Northrop and McDonnell Douglas when the USAF Northrop YF-17 Cobra morphed into the USN F/A-18 Hornet. It was a bitter battle between the two companies that lasted many years. 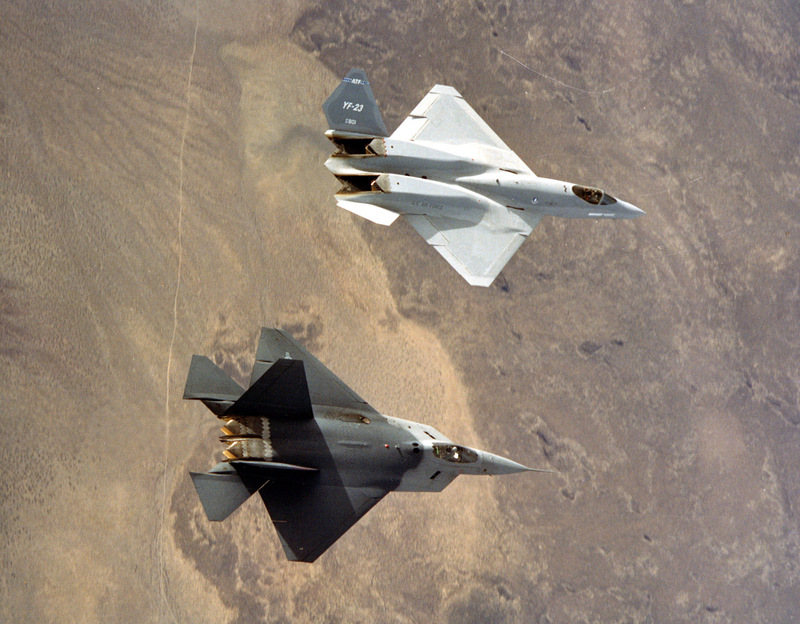 McDonnell Douglas ended up being the prime contractor, while Northrop (the initial designer of the airplane) was referred as the major subcontractor. For the ATF, these roles were reversed, thus Tom’s statement about the Missouri plate. 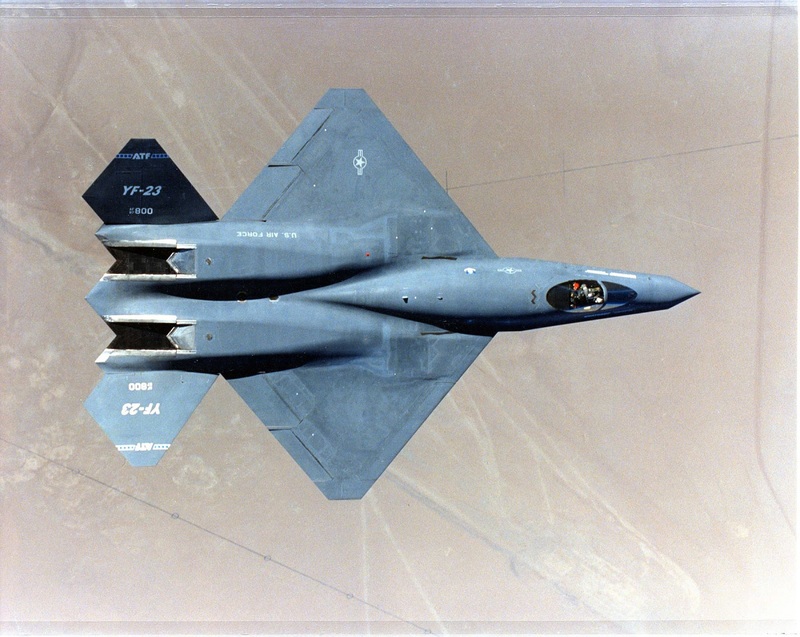 The only reason we didn’t fly the YF-23A with the license plate hanging off the nose, was we could not find the mil-specs for a ‘License plate hanging off the nose of an airplane going over Mach 2.3.’ Well, at those speeds the string holding the license plate probably would’ve broken anyway. Needless to say Northrop ATF team was really proud of our aircraft. 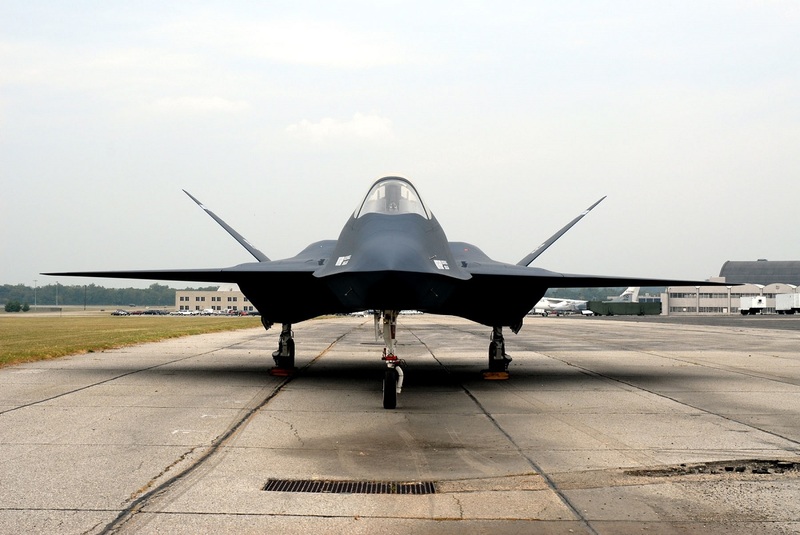 We absolutely knew that it was the better of the two airplanes,” he recalls. A piicture of the aft deck tiles taken by John Shupek at the Western Museum of Flight, during his tenure as the curator.